Mid-Illinois Senior Services, Inc. is a non-profit agency serving Senior Citizens & their families in Moultrie and Douglas Counties. Our Senior Information Services program provides explanation of senior support services available to our clients & we provide up to date services and assess changes to services required based on the individual's needs. Caregiver Advisory Services are available to provide emotional and technical assistance to caregivers of seniors and Grandparents Raising Grandchildren. FUNDING: Although there is no charge to clients for Senior Information Services, the cost of providing services is funded in part by the East Central Illinois Area Agency on Aging, Fundraisers, a community match of 15% which is required from the Federal Government to receive grant funding and donations are our other sources of income. We encourage and appreciate all donations by clients, churches, civic groups, businesses and private individuals. CONFIDENTIALITY NOTICE: All referrals and client information are considered to be confidential. No information will be released without the informed, written consent of the individual being served. A copy of the agency confidentiality policies is available by contacting the central office at 217-728-8521. 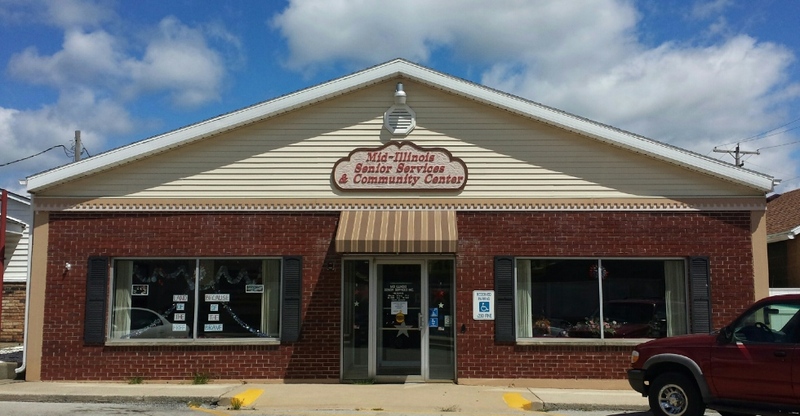 DISCRIMINATION NOTICE: Mid-Illinois Senior Services, Inc. does not discriminate against any individual or group in determining eligibility for programs. Employment policies are in compliance with the IL Human Rights Act, the U.S. Civil Rights Act Section 504 of the Rehabilitation Act and the U.S. and IL constitutions. Any discrimination complaints should be addressed to the IL Dept. on Aging at 1-800-252-8966.